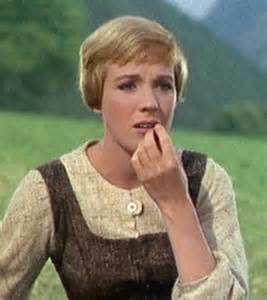 Julie Andrews brought the role of Maria to life on the screen in The Sound of Music. Andrews had only completed one film, not yet released, when she was cast in the role of Maria. The director of the film The Sound of Music, Robert Weiss, was able to convince Walt Disney to allow him to view footage of Andrews from Mary Poppins. Seeing the potential in the rising actress, he cast her in The Sound of Music. Although she was new to film, Andrews had been singing for most of her life. By the age of 10, in 1945, she was performing onstage with her parents. At the age of 13, she became the youngest solo performer to ever be seen in a Royal Command Variety Performance, which included performances for the family of King George VI. This led to appearances on radio and TV, as well as on the West End. In late 1954, she made her Broadway debut in The Boy Friend. This led to a larger role, most notably as Eliza Doolittle in My Fair Lady. She would lose the film version of My Fair Lady to Audrey Hepburn due to her lack of film experience at the time. Rodgers and Hammerstein featured Andrews in their TV special, Cinderella, in early 1957. In 1959, Andrews married Tony Walton. Three years later, she had her daughter, Emma. Walt Disney saw Andrews performing in Camelot and cast her in his upcoming Mary Poppins. Her first role would win her multiple awards including, Academy Award and Golden Globe Award for Best Actress. 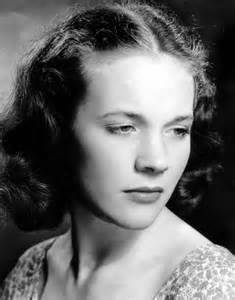 She would win a second Golden Globe Award for Best Actress for her role in The Sound of Music. In 1967, she divorced Tony Walton. Two years later she married director Blake Edwards. They would remain married until his death in 2010. 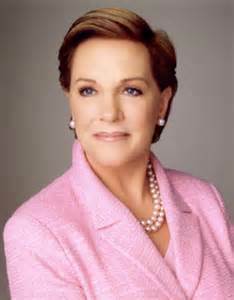 She continued to appear on TV and in film over the years, most notably in Victor Victoria. that she turned to writing as a way to express herself after losing her voice. She and her daughter, Emma, have published numerous children’s books. In 2001, she appeared in The Princess Diaries, her first Disney movie since Mary Poppins. She continued to act in movies, especially those that were family friendly. In 2000, Queen Elizabeth II bestowed the title of Dame on her. 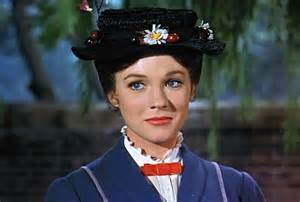 Fifty years later, we can still enjoy her beautiful four-octave range in The Sound of Music and Mary Poppins.